It isn’t very often that we get to share this great gospel internationally but a few months ago a reporter and photojournalist from France contacted us (below) and asked to interview and shoot some photos of our worship service. Recently we received this PDF article from Eugénie, of her completed piece and had to share! 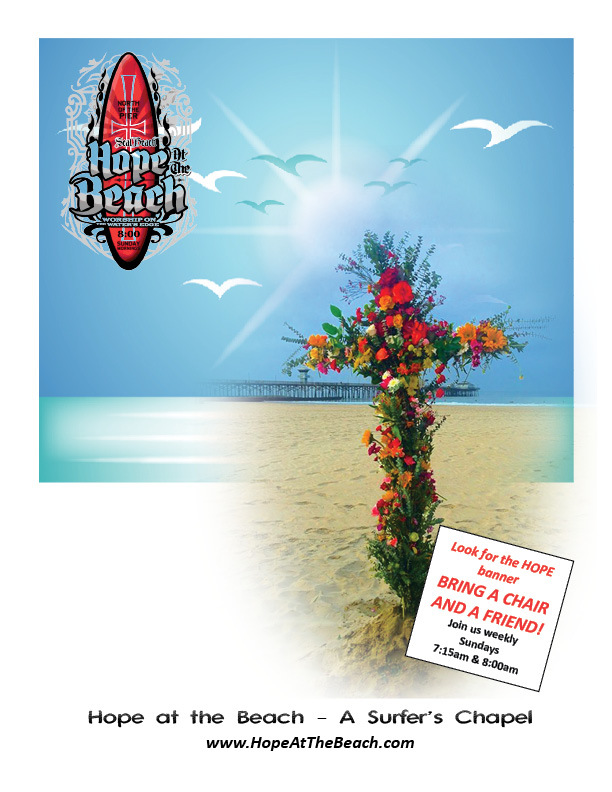 Unfortunately, we do not speak French, so we are hoping that someone on our mailing list can translate and share with us all what was said concerning Hope at the Beach and especially the Good News! Nice pictures though, aren’t they – they speak a thousand words. Sponsored by M&M Surfing School located at Seal Beach Pier, California.